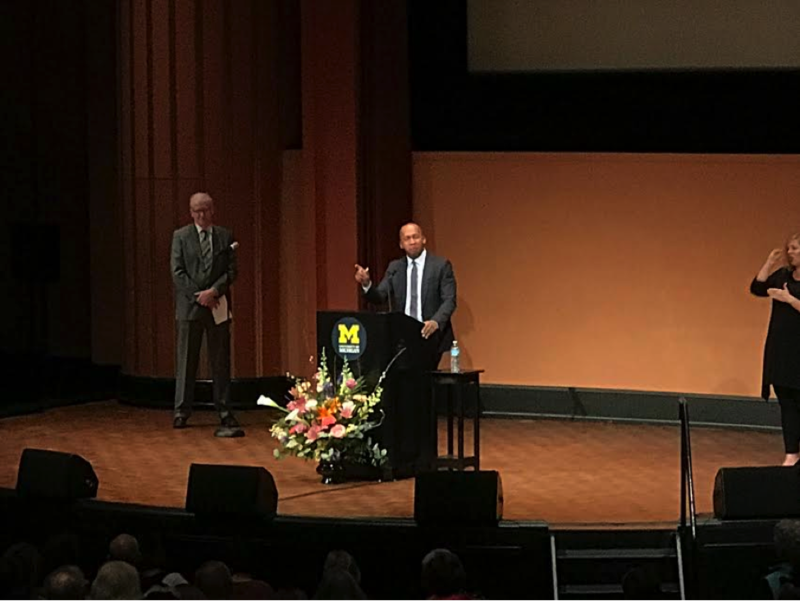 On March 7, civil rights lawyer and criminal justice reform advocate, Bryan Stevenson, received the 25th Wallenberg Medal from the University of Michigan. The Wallenberg Medal recognizes individuals for their humanitarian work. Elie Wiesel, Archbishop Desmond Tutu and Congressman John Lewis are included among past recipients. During the award ceremony, Stevenson was commended for his work toward defending condemned prisoners and incarcerated children through his organization, the Equal Justice Initiative. Following the ceremony, Stevenson gave a keynote address discussing the tools necessary to change the world. He spoke on the racial divisions that continue to persist in the country, stating that the “history of racism has burdened us,” preventing us from being truly free. Stevenson proceeded by claiming the United States actively ignores the genocide perpetrated against Native Americans before its founding, commenting that “we have to talk about the fact that we are living in a post-genocide society. I don’t think we are shameful enough for what we have done wrong.” Referencing countries like Germany and South Africa, who openly acknowledge their past injustices with memorials, state holidays, and monuments, Stevenson believes the United States should take a similar approach in viewing its role in the genocide of Native Americans, slavery and segregation.